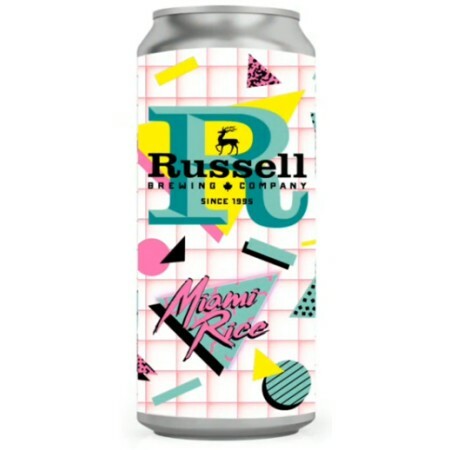 SURREY, BC – Russell Brewing has announced the upcoming release of a new beer with a name and design inspired by the 1980s. This hazy southeast IPA is brewed with rice, oats and barley, with late kettle additions of mosaic and Citra hops. Fermented using a blend of London Ale III and Saccharomyces Trois producing a slightly tart finish with delicate hints of pineapple, mango and citrus. Best enjoyed while listening to cheesey 80’s theme songs in your beige and pastel blazer. Miami Rice will be available soon in 473 ml cans at select liquor stores in British Columbia.